I made this pillow! Isn't it adorable? I had fun picking out whimsical fabrics from my bloated collection of fat quarters. 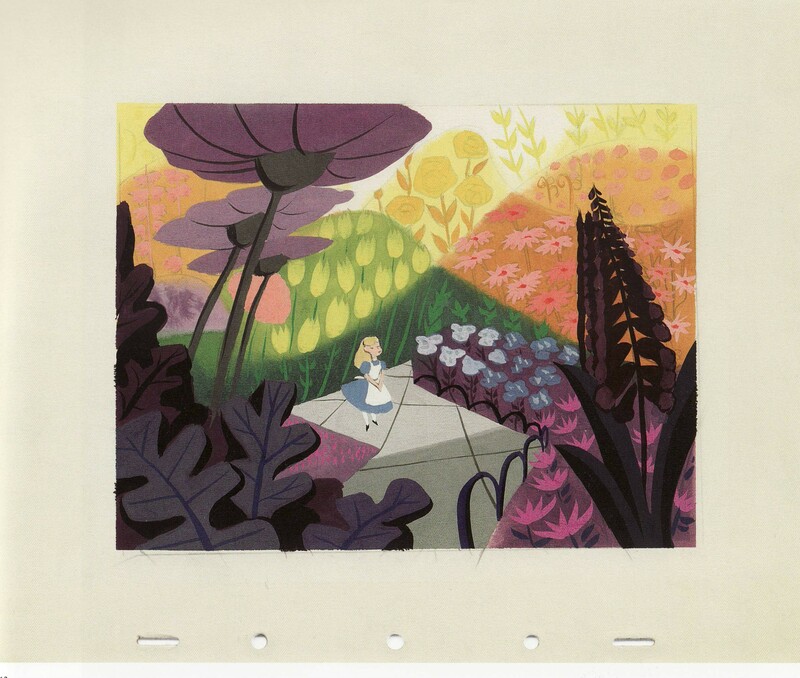 I especially love the yellow print; it looks like it was inspired by Mary Blair! I tried to pick out coordinating fabrics that also looked like they could belong in a Mary Blair painting. Note: This pillow is pretty small; if I did this project again I would probably make it 12"x16" instead, or at least 10"x14". 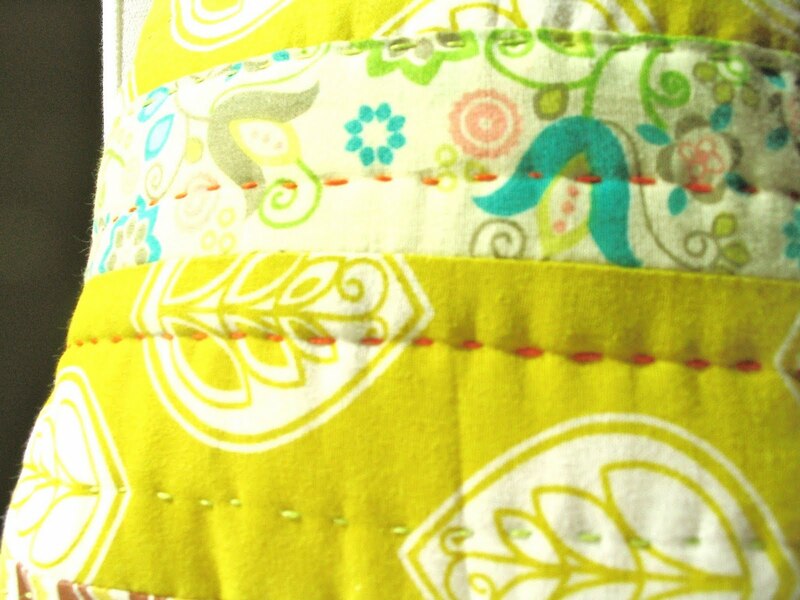 Cut out strips of fabric 9" long and of different widths from five coordinating fabrics. Sandwich quilting batting between your nice fabric and the plain fabric (make two "sandwiches"). Quilt the layers of each sandwich together by hand-sewing with three strands of embroidery threads in vertical lines one inch apart, alternating between two lines of orange and two lines of lime green thread. After quilting both the front and back sandwiches, put the two quilted pieces together back-to-back and sew the edges (except for 4 inches on the bottom). Stuff with polyester fill and hand-sew the opening closed. I like the way you quilted it. I think its a do-able project. 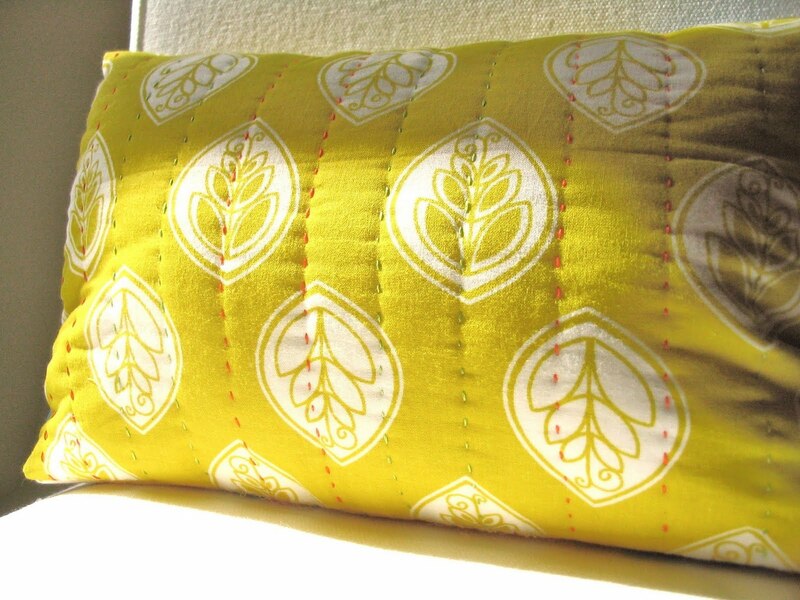 I actually got the idea from an Anthropologie "Yoruba" pillow. 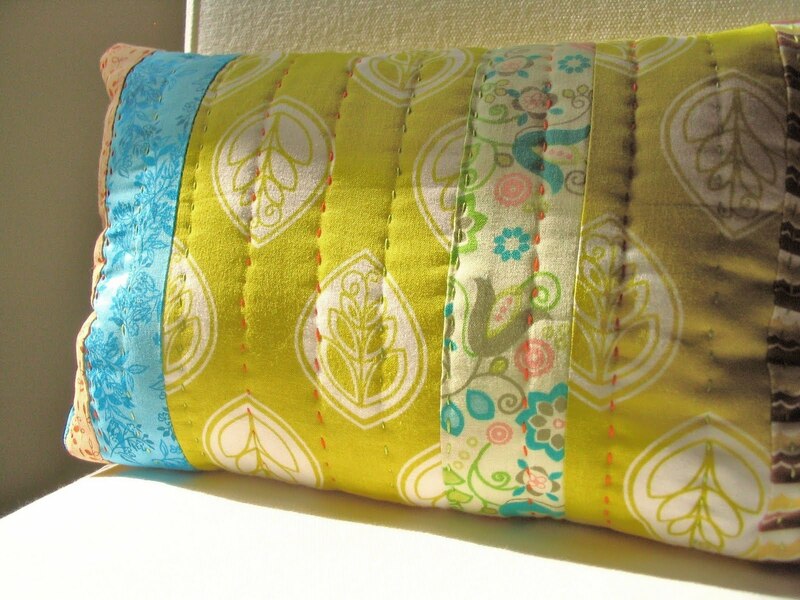 I liked how the pillow was just made out of strips of different fabrics and the hand-stitched thread gave it texture.